Many archaeology sites around the world have significant astronomical function. If an astronomical function can be found and verified this gives the researcher an additional window in the world of the past. Often such date alignments can be the key to understanding the function of the site and other glyphic writings or reliefs found at the site. This further expands our understanding of an ancient people. For instance consider the geoform created anciently by Indians in Western Utah by aligning stones in this manner. We know that the principle alignment of the site is east and west. However there are many other off axis alignments to sunset dates that may also have significant calendric function. By setting up a transit at Points 7 and 8 and merely shooting the azimuths and elevations of the western horizon over other key points of the geoform will tell us the dates when the sun will set along those alignments by accessing SHAMOS. In like manner, significant date alignments were identified at Parowan Gap, Utah corresponding to a system of cairns or getherings of stones. A large and what looks like a very mysterious petroglyph accompanies the site. The glyph becomes less mysterious when day count numbers in the glyph are correlated with a system of cairns spread across the basin behind the gap narrows which designate sunset observation positions for the solstices, equinoxes, and cross quarters. The cross quarters are those dates that are the midpoint dates between the solstices and the equinoxes. 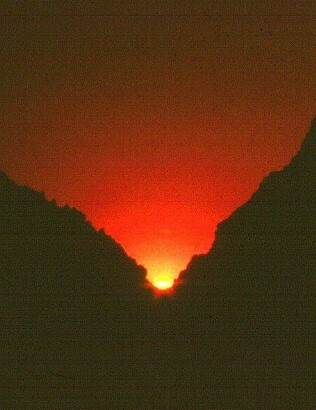 For more information about the research at Parowan Gap see my web page www.parowangap.org. SHAMOS was designed for this application. Therefore SHAMOS has the capability to reconstruct astronomical conditions in the past going back several thousand years. It uses the methods and formulae of Jean Meeus. SHAMOS is no better than his methods. In his words it remains accurate so long as the user does not go too far back in time. Meeus greatly reduced the number of mathematical astronomical terms to make his methods practical for small computers. 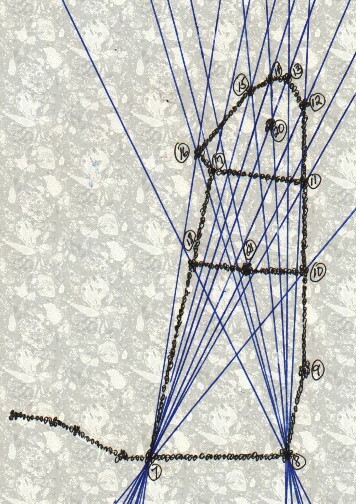 Nevertheless the author finds that these techniques very adequate for most all archaeoastronomy applications.